Ooh, what a fantastic little treat we’ve got in! 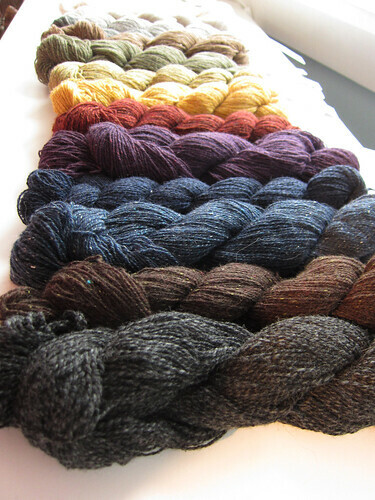 It’s a rare day that Shibui produces something that I’m not over the moon about, but that’s because they put out some fantastic yarn (and great patterns as well). The newest offering from the Portland-based company is Pebble, a light, luxury blend. 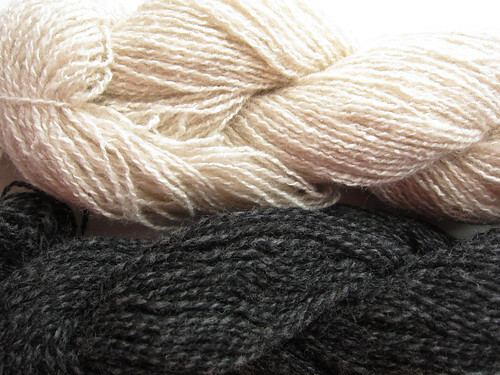 Pebble is 48% recycled silk, 36% fine merino, and 16% cashmere, and comes listed as a ‘heavy laceweight’. It is really lovely in the hand, soft, with a fine halo from the cashmere, but also a delightful tweediness from the recycled silk and merino. 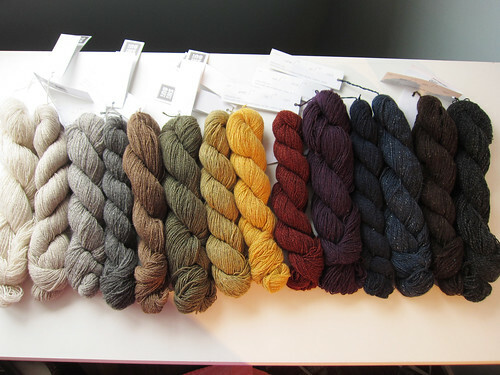 This yarn may well be my new fall obsession. 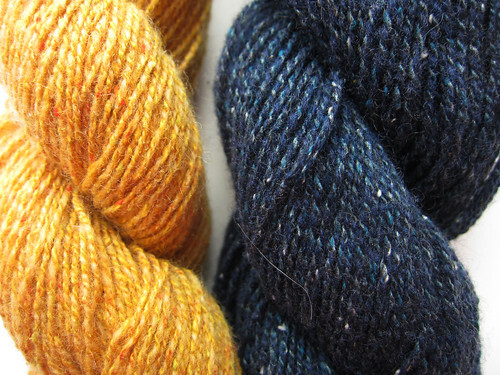 Unfortunately, my photos really truly cannot do this yarn justice. Do yourself a favour and check it out in person, it is well worth it..
Oh, oh, it gets better! Along with Pebble, Shibui has launched a few new patterns, my favourite of which is Cliff, hands down (so much so that I am tempted to make a boys version). 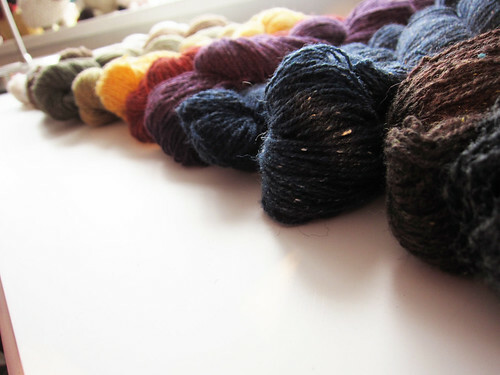 You can pick it up on Ravelry, or you can buy a copy in-store! This entry was posted on Monday, November 4th, 2013 at 8:33 pm	and is filed under Uncategorized. You can follow any responses to this entry through the RSS 2.0 feed. Both comments and pings are currently closed.